Fangirls, I’m so into the spooky feel of Halloween, but my love for the looks of the season trump the feeling. I love Wednesday Addams’ style, I love sparkly black stuff, flannel, sweaters, all that rad stuff. 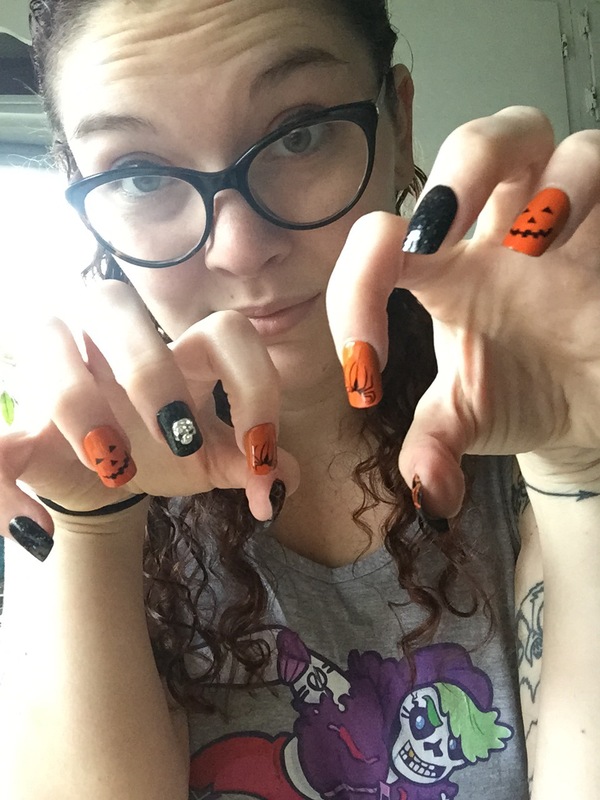 When my mother brought home spooky nails from Broadway Impress Nails for me, I lost it, I was so pumped. 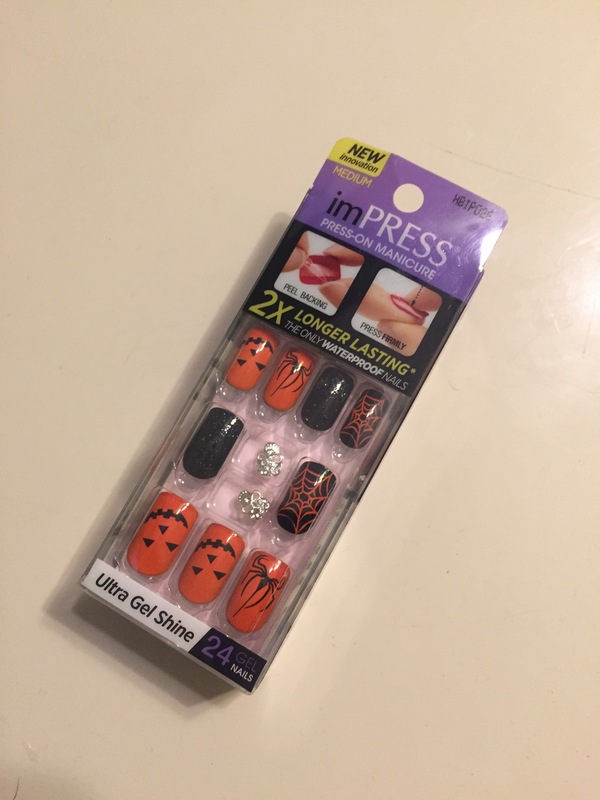 I really like Impress Nails because they’re incredibly easy to use, and they come of easily. I tried these out and adored their look and feel, but I had to take them off rather early because the size was just too big, and they were more of a pain than they were worth. But the time that I sent in them was fun, and I loved it. Another issue that didn’t really come into my head was the gem that I put on one of my fingers (an awesomely sparkly skull) did a great job of ripping into my scalp when running my hands through my hair. I have a very bushy head of hair, so an extra something to get caught on any knots was a terrible plan. 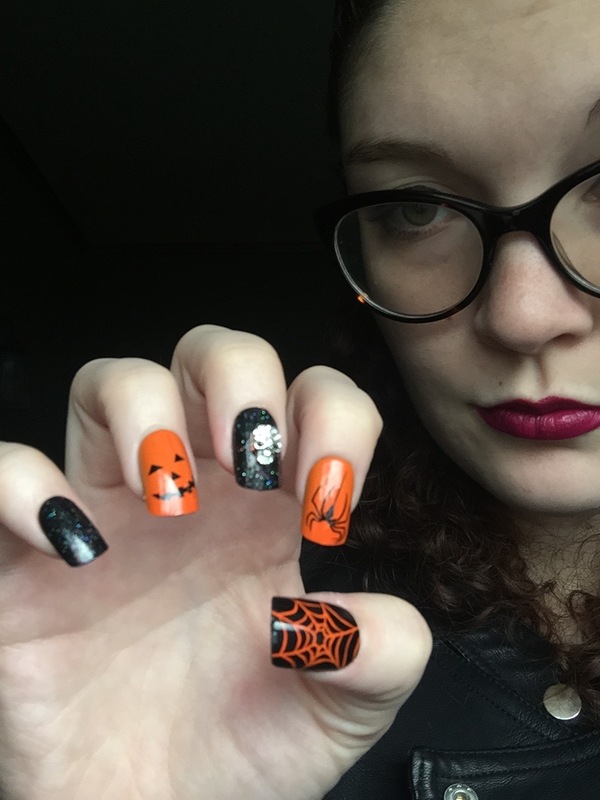 Altogether, these were fun, and easy to use (like they always are), and would make a great addition to any witch costume, plus they last a week, so you can have them on all week leading up to Halloween!